Star Trek Celebrity Guest Stars! - Wall of Fame! 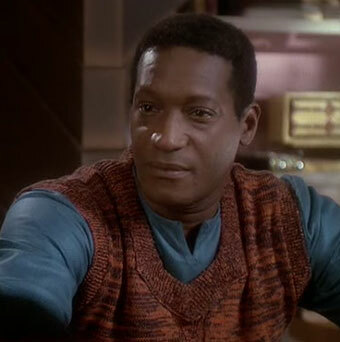 Any even gonna dare bring up Tim Russ before he landed his Tuvok role? As a time traveller, Am I supposed to pack underwear or underwhen? Aside from generations He was a terrorist in tng who tried to capture the enterprise and a Klingon in ds9 before he became part of voyager. There's a few interesting crossovers with various other SF shows. Well, I think they're interesting, anyway. 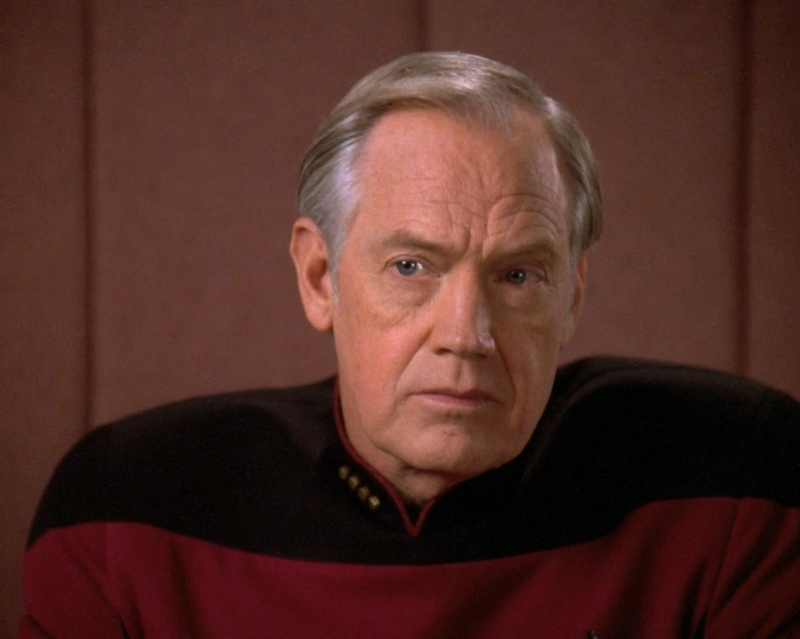 Nick Tate, who did a guest spot as Captain Dirgo in the TNG episode "Final Mission", was a regular as space pilot Alan Carter in Space: 1999. 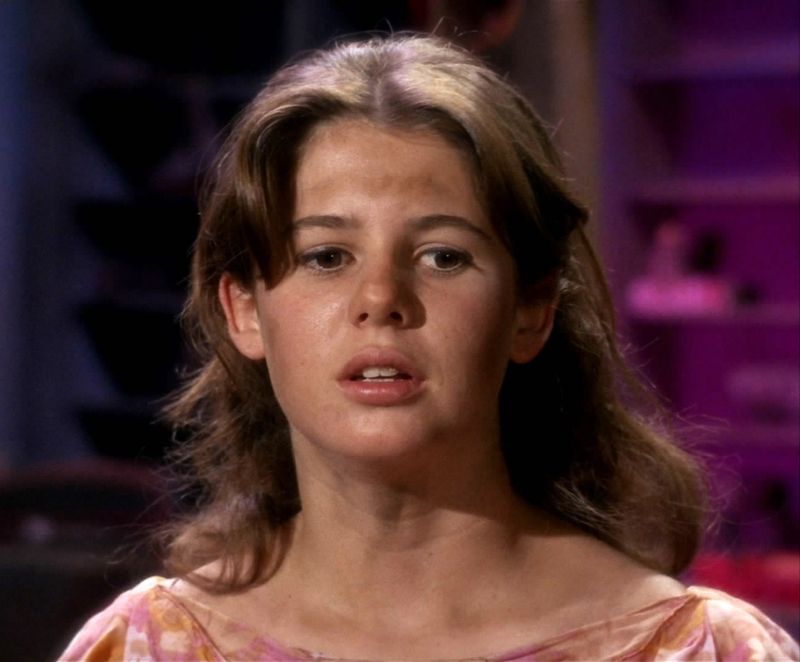 Carolyn Seymour appeared in three different TNG episodes, and had a sort of semi-recurring role as the hologram "Mrs Templeton" in Voyager, but is best known to me for playing Abby Grant in the original 1976 series of Survivors on the BBC. Daphne Ashbrook, the eponymous guest star of the DS9 episode "Melora", evidently has a bit of a thing for doctors, playing Grace Holloway, the Eighth Doctor's companion in the 1996 Doctor Who TV movie. Linda Thorson, the Cardassian Gul Ocett in the TNG episode "The Chase", is best known as Tara King in The Avengers. ... all I can think of, off the top of my head. There's bound to be more. ah right there was that. Adam Scott, of Parks and Recreation fame, as the Defiant's helm officer in Star Trek: First Contact. Which amuses me since his character on Parks and Recreation is an avid Star Trek/sci-fi fan. 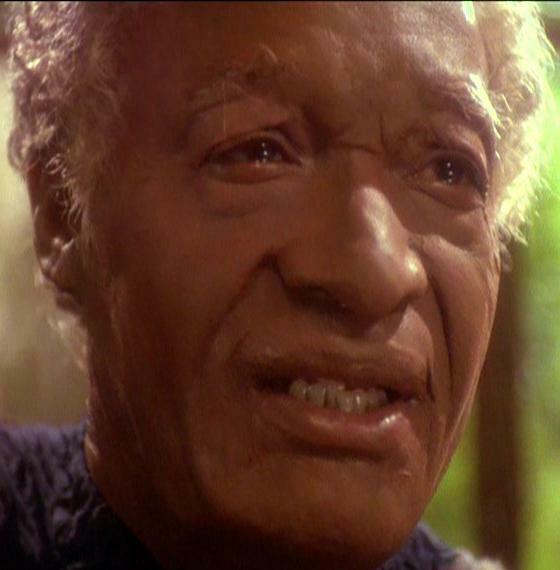 He was also Prime Minister Nayrok of the Angosians in TNG's "the hunted" and Jaglom Shrek, as well as Hanok from DS9. I suspect t0xsick2 was referring to Tim Russ' legendary bit in Spaceballs. I'll contribute John Rhys-Davies, one of my favorite actors, who played holographic Leonardo DaVinci a couple of times on Voyager. Possibly most famous for Gimli the dwarf and Treebeard the Ent in the Lord of the Rings trilogy, Sallah in the Indiana Jones trilogy, and Professor Arturo of Sliders on television. *STO* Its mission: To destroy strange new worlds, to seek out new life and new civilizations... and then kill them, to boldly annihilate what no one has annihilated before! Interestingly, Judson Scott was also in "Symbiosis" after his role in ST2. 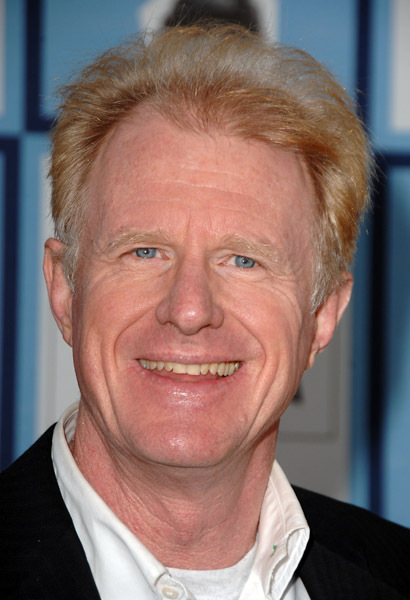 This guy has been in A LOT of places and typically in a villainous role, From Walker: Texas Ranger to X-Files and even a part in Babylon 5. Michael Dorn - who was best known as Officer Jebediah Turner on the T.V. show Chips from 1979 - 1982. 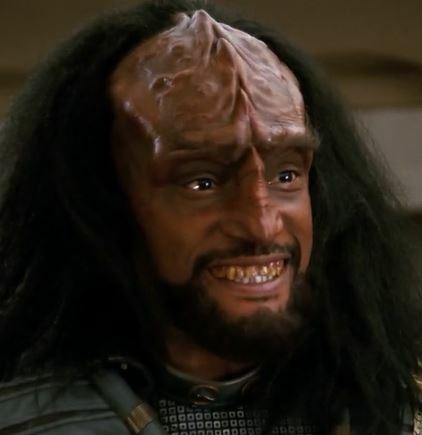 He also played the role of Klingon Defense Attorney in the 1991 movie: Star Trek VI: The Undiscovered Country. 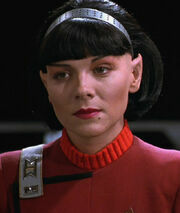 Michelle Forbes played Ro Laren in TNG ... but also Admiral Helena Cain from BSG: Razor! I *knew* I didn't like Cain for a reason. Yet, she was also bad TRIBBLE. Michelle also played in several other roles from famous shows like Lost, Walking Dead, and Chicago Fire (among others). Love these additions to the thread. Who else are we missing? We have sooo many celebs to recall. We need more sample! More images! More Google Image Search! 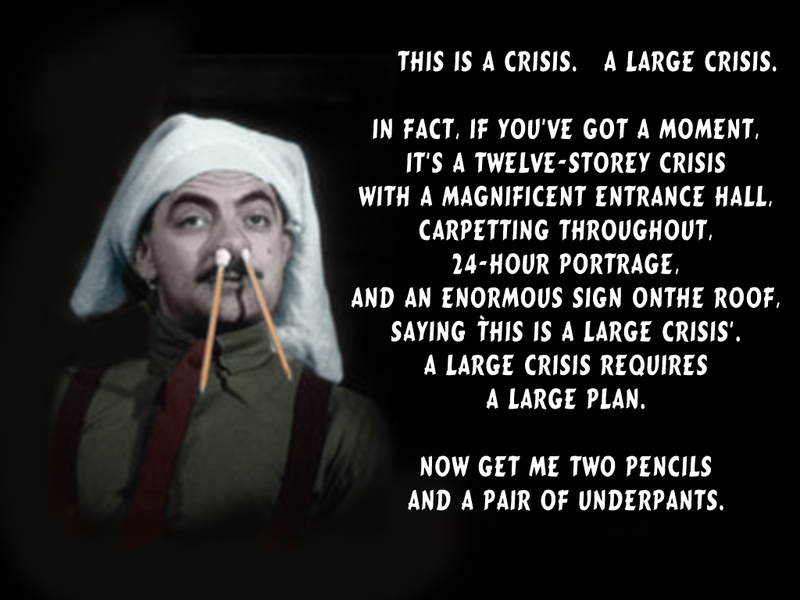 "Don't Panic, They're Just Topping Up The Tanks With Awesome Sauce." BUT is prolific in movies, TV and as a voice actor. Some of the more memorable to me is his role in Time Bandits (evil), TRON (Ed Dillinger), Wing Commander (Adm Tolwyn), and the voice of Ra's Al Gul in Batman: The Animated Series. This was the first episode that K'Ehleyr was introduced. The actress that played her (Suzie Plakson) also played Dr. Selar on TNG and a couple of minor characters in Voyager and Enterprise. Really? nobody's mentioning Kelsey Grammar as Captain Bateson? Adult Jake Sisko from the DS9 episode, "The Visitor"
And the Alpha Hirogen from the Voyager espiode "Prey"
I've never seen her there, she must have been somewhere else. She wasn't only in BSG:Razor, she also played Adm. Cain in the series. Abdullah bin al-Hussein - In the Voyager episode 'Investigations' - Former Prince, now King, of Jordan. Maybe not a celebrity, but still pretty cool. A girl playing STO? Madness! @sassysophie95 in-game. Add away, always looking for new people to play with!